This seems like a brilliant move by Jude himself to me, I can not hardly imagine a better way to get through to the hearts and minds of these hypocritical false teachers. These people must have been incredibly arrogant and full of themselves, there would be no way that they would listen to what anyone else had to say. So it makes perfect sense that Jude would use the only thing that they would listen to, their own documents, it would be the best if not the only way to grab a hold of these false teachers and show them beyond any doubt the error of their ways. I find the use of Enoch and the Assumption of Moses to be absolutely fascinating. While it brings about many problems with Jude, it also reveals to us much of the culture and those implications. One story that immediately comes to mind is from Acts 17:16-34. In this passage we see Paul in Athens preaching to a group of philosophers (more specifically Epicureans and Stoics) in the Areopagus. While Paul used fundamental truth from the scriptures, he also incorporates what they would understand, including their idols, and their “unknown god” as examples. i believe that Jude is practicing the same concept to his audience, but instead of being Roman philosophers, they were Jews. While they held the Old Testament to be true and authoritative, there was also many books and sources that were widespread that they Jews knew and could identify with. “Jude refers to 1st Enoch and Michael’s dispute with the devil over Moses as they were understood in Jewish tradition of that day to develop the themes of ungodliness and the certainty of judgement” (Jobes 254). In Jewish communities they created “Jewish Tradition” in which they could learn from and see as applicable or relevant with their lives. In the same way that Paul reached people with what they knew, i think that Jude used this tradition as a contact point in which he could explain his theology in relevant information and terms. In our modern day you could think of Rob Bell books. While there are numerous things that many Christians do not agree with, there is still a lot of true spoken in his books (if you disagree, read some of them). I am not saying that we should incorporate Rob Bell into the bible, but that it is a contact point in which our modern culture would know and understand. Jude’s intention most likely was not to identify this tradition as scripture, but he may have taken some stories and points from literature that was very relevant to culture and supported what he said. His goal in the end was to reach as many people as he could with his message, and this was a great way to relate to as many people as possible. I am not sure what this means as far the canonicity of Jude, and if it discredits it or not, but it seems as if they passages used were harmless enough to support his point and while not incorporating any false doctrine into the scriptures. All i know is that this is a great challenges for those communicating the Word of God, in which we must continue to be relevant to culture while staying true to God’s inspired Word. The implications of Jude’s use of 1 Enoch and the Assumption of Moses is very interesting. The most troubling of these sources is the way that Jude quotes 1 Enoch in Jude 14-15, “It was also about these that Enoch, the seventh from Adam, prophesied, saying, ‘Behold, the Lord comes with ten thousands of his holy ones, to execute judgment on all and to convict all the ungodly of all their deeds of ungodliness that they have committed in such an ungodly way, and of all the harsh things that ungodly sinners have spoken against him. 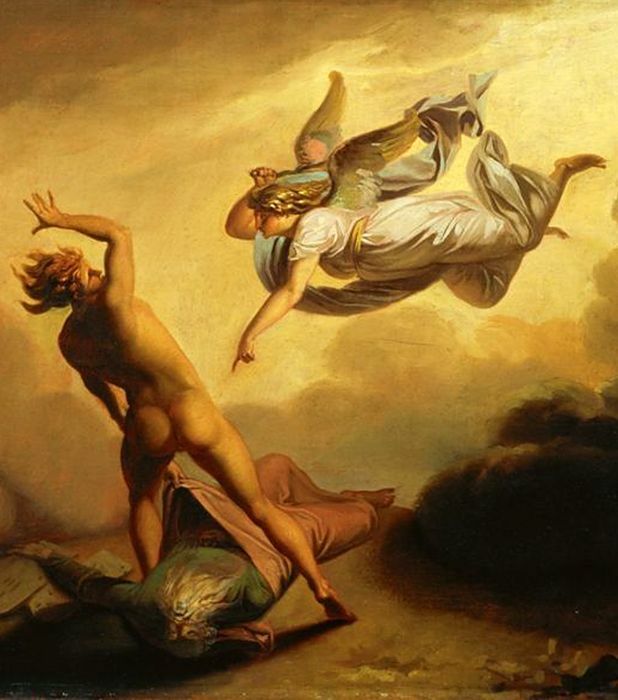 '” Because Jude refers to the origin of the quote as the Biblical Enoch can leave us with only two options: either Jude truly believes that the Biblical Enoch of Genesis 5:18 prophesied these words, or it is acceptable to Jude to lie about the origin of the quote. This is troubling because either option can have profound implications on Bibliology and Canonicity. I find this a point worthy of further study because I am not sure that we can simply dismiss this as a culturally relevant pastoral illustration. Jude is certainly not the first Biblical writer to use outside sources to strengthen his arguments. My mind immediately jumped to the passage that Adam talked about in his comments. We see from Paul’s use of secular philosophy that Jude’s use of extra-biblical writings is not an isolated event. And as a Jew writing to Jews, it makes sense that Jude would reference material that was known by the various Jewish sects of his day. It is dangerous to assume that Jude considered these works as “Scripture”, but to echo the common thread in these posts, he seems to have mentioned them to turn the teaching of these false teachers on its head. I that Jude using these outside sources is a good thing, why not? It doesn’t discredit the book. In my opinion it gives him more credit to what the book is talking about. When you write research papers, you don’t just use your own opinion, you look at other sources. The only problem I see with him using these sources (which I would really have never known, except that I learned this in Bible class here) that he was quoting these other books, and the fact that they are not in the Bible I would have no idea what they would really say. Jude alluding to the two books would have been completely acceptable within the culture of this time. “…in the Greco-Roman literary culture, there was the acceptable practice of imitatio, in which an author would incorporate material from a well-known work into his own…” (Jobes 385). Over time the idea of Jude using ideas and alluding to these texts has become less acceptable. This is mostly from these two texts not being included into the cannon of scripture. However, Jude is referencing these two books as a form or literary persuasion, such as examples or anecdotes. Jude is simply using the reference to 1 Enoch and The Testament of Moses as an illustration to solidify his point. Much like other writers of the New Testament use a strategy logic similar to the Greek philosophers of the day. Jude alluding to writings that are outside of the cannon in 1:9 does not mean that Jude is claiming the books of 1 Enoch and The Testament of Moses are inspired. Rather, Jude is using a well known story to illustrate his point. Similar to when parents read the story Five Little Monkeys Jumping on the Bed to their children to help them understand why they should not jump on a bed. I find it kind of comical that Jude is using these heretics stories or texts against them or to point out their wrongs. I would have to agree that he is using these not to say that they are biblical or inspired or anything but that those texts are current, cultural and popular texts in his day and it would make sense for him to pull examples from them just like teachers would do today. Teachers today use examples from movies or events, doesn’t mean they are part of the bible. I have never thought of it that way, I have always been a little skeptical when people cite or bring up those extra-biblical texts but that sheds some light on the subject. I think there can still be some people who put or give those texts too much authority. I think for the original audience it really gave Jude some respect or he really gained the audiences’ attention by using them. Jude is trying to be relatable. Just like our pastors and preachers now. They will do a sermon and relate part of the sermon to a popular cultural topic. For instance, my youth pastor used to relate his study to the Lord of the Rings. The Lord of the Rings was a popular topic in our youth group. Was the youth pastor trying to imply that the Lord of the Rings was biblical? No. He was simply trying to catch the attention of the youth, to teach them more about what is true of the Bible. I believe that Jude is doing the same thing here. Like this blog post stated, Enoch was popular during this time and most of the readers of Jude could relate to it. The textbook, “Letters to the Church,” by Karen Jobes explains, “Note, however, that Jude says only, ‘Enoch prophesied,’ which must not be taken to mean that Enoch wrote an inspired book (contra Augustine’s view)…Jude does not have to think that 1 Enoch is an inspired book or even a true book in general; he cites one small part of it that is in accord with biblical truth” (Jobes, 2011, pg. 257).